I know, I know. Long time no write. It’s been a very eventful year for me and I just couldn’t find the time, energy, or right way to write about what I was doing. Let me start at the beginning of the end of my blogging. One year ago, my husband and I were lucky enough to find out I was pregnant. So exciting! I ran the Hamptons Half instead of full marathon (more on this in a later post) and promptly put my Garmin away for an undetermined amount of time. 3 weeks pregnant finishing my half. Last race for a loooooong time. My Garmin is still currently collecting dust next to my computer. Uncharged. I kept my pregnancy very quiet for a very long time. I felt so lucky to have it happen at all that I didn’t want to jinx us by shouting it from the rooftops. There’s no logic there, I know. So I vowed to keep it off the interwebs for 10 months. And I did. 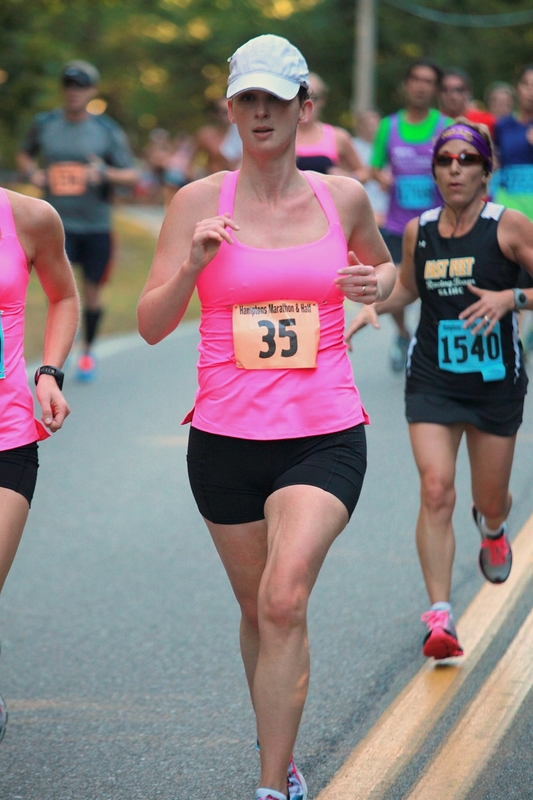 But in doing so, I struggled with separating being pregnant and running (or not running) and working out and writing about running. I’m sure that says something about my ability to compartmentalize and separate myself emotionally from my work. Someone who is in psychology, please let me know what my damage is. 9 months, 2 weeks pregnant. Yeah, I wasn’t running. On top of that, I was in hell where school was concerned and, you know, pregnant. I didn’t have time to blog. And I had no intention of spending my precious free time doing something other than putting my tired feet up. There were a lot of other things happening last year that placed blogging off the stove (not even on a back burner) so I think it was the very best move for me to take a step back. But now I’m back. With a baby. I’m going to try to keep this blog about running and training and very gender neutral. I’m a mom and a runner but this is not a mommy running blog. That’s just not my style. 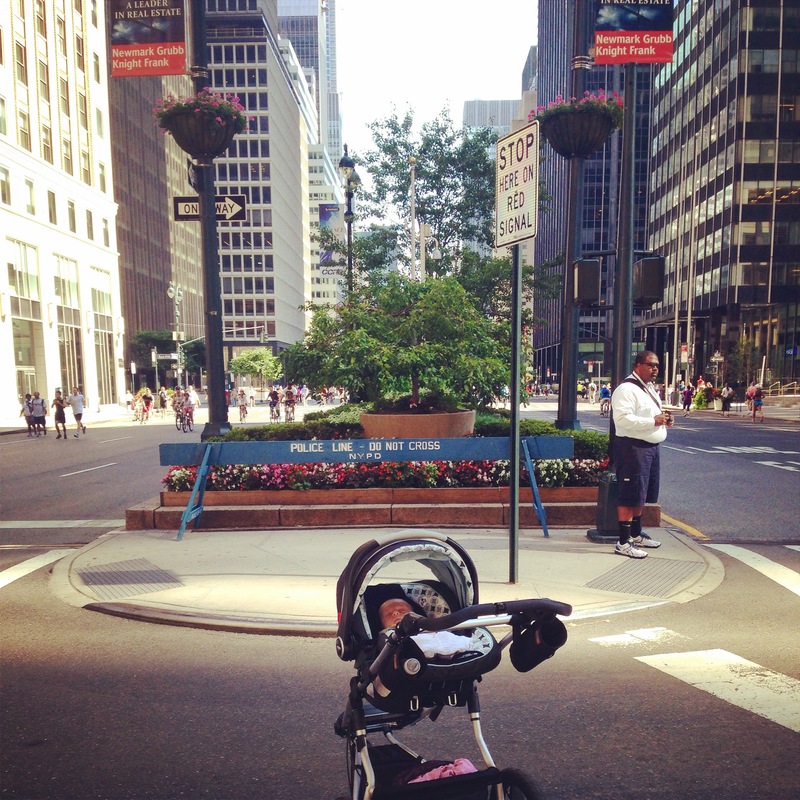 We totally ran Summer Streets and LOVED it. I’ll share more about running/strength training/rehabbing from pregnancy but it will absolutely relate to every single one of you runners. I guarantee that the strength training I have to do now would benefit all of you out there. Cuz we all have weak cores and lazy glutes. We’re runners, that’s just how it goes. That’s my story. I’m happy to be back blogging cuz I have so many cool things I want to share with all of you! The very coolest being that my son is awesome and the light of our lives. The other cool stuff will hopefully make you a better runner. Welcome back! & congrats on the peanut! I’ve missed all of your awesome posts with GOOD, honest, spot-on advice for runners. Thanks for posting this–I ALWAYS feel guilty when I do less exercise (how much less can you get then none?) 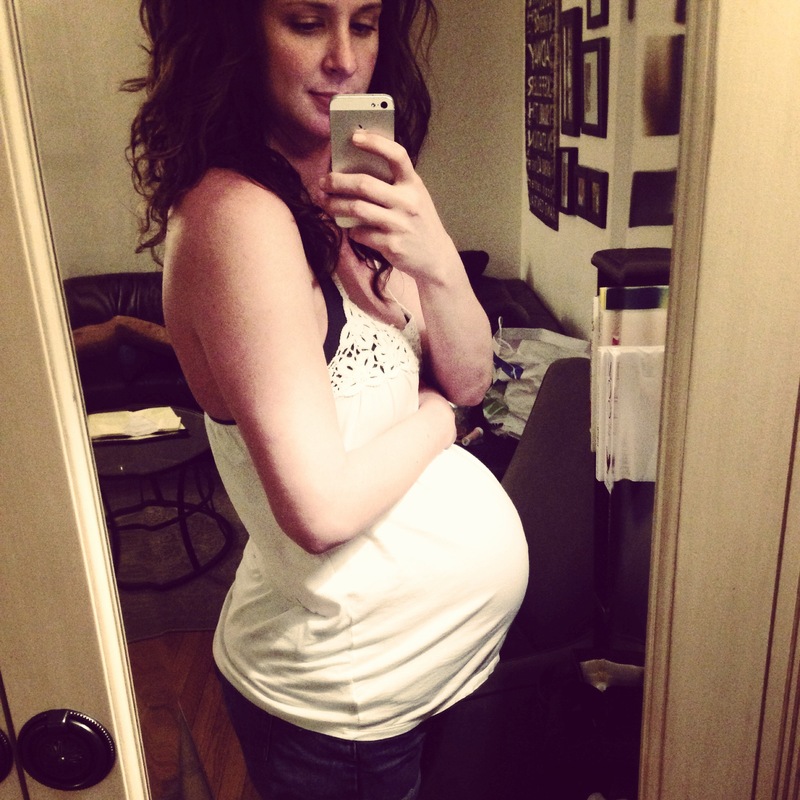 when I am prego–but seeing that you took a step away from running made me feel better about myself. I know you and am sure you stayed fit and healthy, but thanks for letting us all in on your life! One day I will visit the big NY (still on my bucket list) and we will hang out! happy to see ya back Abby! 🙂 Looking forward to reading from here on out! Nothing beats the streets of New York in summer, especially with live music in the streets, Jazz in harlem etc… Granted, New York has changed greatly since I left almost 12 years ago… so I’ve heard. When was your son born?